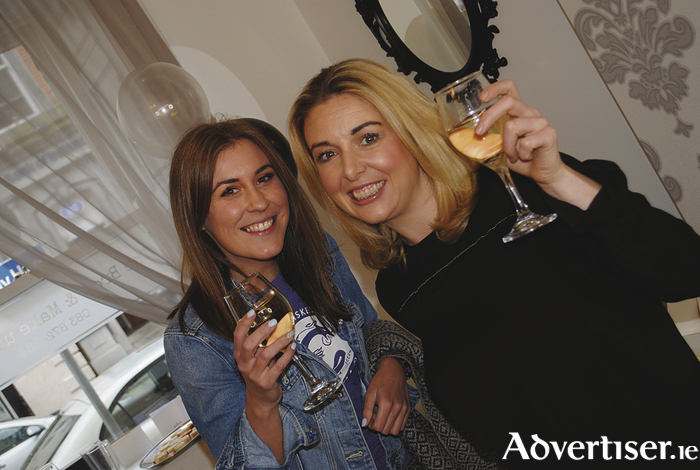 Happy faces at the opening of the Brow and Make Up Studio in Ballina. The Brow and Make Up Studio in Ballina had its official opening recently with a huge welcome from the local Ballina business community. The Brow and Make Up Studio offers HD brows, brows re-styles, make-up, shellac and much, much, more. The Brow and Make Up Studio is located at 41 Pearse Street in Ballina next door to Penney's. This funky brow bar takes appointments, walk ins are also welcome. The Brow and Make Up Studio is operated by Keira Harkins and Chloe Calvey, who are both fully qualified and experienced make up artists and HD brow stylists. They would like to thank everyone in Ballina for their huge support since opening and welcome new and existing clients to the brow and make up studio. You can book an appointment through Facebook, or by calling or through WhatsApp at (083 ) 872418.